Emcel were instrumental in setting the standards for the control of damaging atmospheric pollutant gases as far back as 1981 when the Emcel Sonoxcarb Filter System was tested and met the requirements of the TR70 protocol set by the government funded Property Services Agency (PSA). 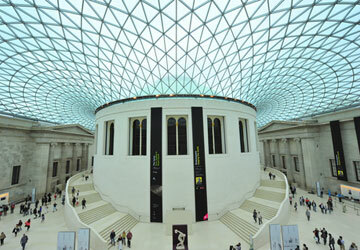 This protocol is still in use today by many of the national museums and art galleries and provides guidance on the levels of atmospheric pollutant gases within the indoor environment. Further developments to the original Sonoxcarb Filter System have led to extended life expectancies of more than 5 years and in certain cases up to 7 years, providing a high performance and extremely cost effective way for conservationists to protect valuable artefacts and paintings. Since this time Emcel have continued to lead and support the research into the harmful effects of both atmospheric and indoor generated pollutant gases including involvement in EU funded projects investigating modern materials and techniques. An example of this is the Innovative Modelling of Museum Pollution and Conservation Thresholds “IMPACT” project, led by Prof May Cassar of the Centre for Sustainable Heritage (part of UCL), that helps conservation departments to assess and improve indoor air quality.